SARAH'S BLOG OF FUN: Can You Guess What Mc'Donalds Food Item This Is?? Can You Guess What Mc'Donalds Food Item This Is?? OK, I do not always eat what I should. I am known to splurge on junk food, and occasionally will buy fast food. I know that these foods are bad for me, but they taste sooooo good. Plus, I only eat them once and awhile, so it can't be all that bad right? I just came across this article, and I wanted to share it with all of you. Before you read the article, please guess below as to what you think this food item is. I can't wait to see your responses!!! I want to say the ice cream but I'm sure it's not. Now I've got to find out! I think it might be the smoothie? Now I am too am heading over to the link to find out. I don't want to ruin the fun for all of your readers, but I do want to encourage you all to read the whole article! While it's still disgusting, it's not *as* disgusting as before 2003! ;) I just had a mini freak out until I read the whole thing! I'm hoping it is a Strawberry Shake, and not something gross.... I don't eat at McDonalds, but their McFlurries always sound so good! This article I was suppose to stay away from but it's chicken nuggets. Now I know why my boyfriend didn't want me to see it. 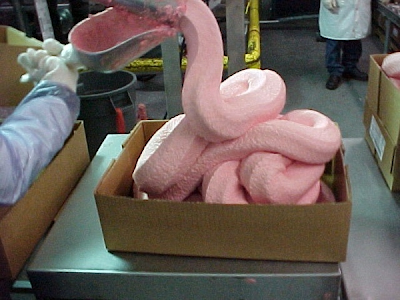 But it is good to note that ALL processed meat is done the same way not just McDonald's. I was thinking it was ice cream, I sure would have Never guessed it had anything to do with chicken. My grandson loves those things, im going to send the page to him.. He needs to see this. Yuck! Strawberry Shake would be my guess. yuk! wish I hadnt read that article. I won't look at another nugget the same way. I'm really scared to go find out! !